During GM’s 2nd annual Global Business Conference that took place this afternoon, CEO Dan Akerson addressed investors and analysts on many subjects. But when it came time to outline future product development, Akerson’s vice president of global product development Mary Barra had the floor, and pointed out that the company will reduce the current number of car and truck platforms from 30 to just 14 by the year 2018. Additionally, the number of engine variants will also be reduced from 18 to around 10 in the same time frame. This is all in an effort to reduce costs and complexity in product development, of which GM estimates account for $1 billion in lost assets annually with its current system due to things like cancelled projects. The ultimate goal is to have these “core” platforms to make up over 90 percent of all vehicles sold globally. GM also hopes that such a streamlined process also pays big dividends in the quality department. Some may be skeptical on the decision and whether or not GM will be able to keep vehicles unique (badge engineering, anyone?) but consider the following: automakers such as BMW currently implement a similar simplified process, albeit on a smaller scale. However, it does seem like those in product development will lose a few liberties of originality and ingenuity with such a plan. Quality is the issue here, taking GM products to a higher percieved quality and long term investment. 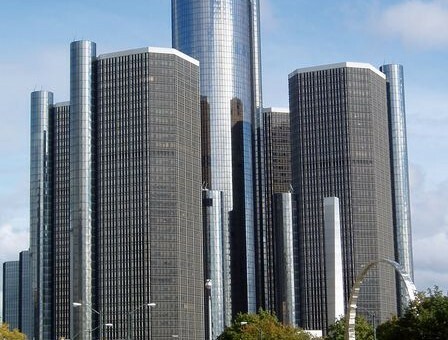 Many people fail to shop GM because the trade in values have been so weak. Don’t forget that Toyota makes their entire range of vehicles off of four different platforms. With the advent of “flex” platforms, it’s a lot more feasible to do this in these days than it was in the past. Consider that Epsilon from GM already underpins the Regal, LaCrosse, Insignia, XTS, and will be under the next Impala. If you told customers that the LaCrosse and Regal were one the same platform, they’d just look at you like you were nuts. I’ve been saying they should do this for years now. GM can definitely keep their products distinct while keeping them on the same platforms. Platforms like Theta and Lambda are not needed when Delta and Epsilon can be used in their place. Platforms like Gamma, Delta, Epsilon, and the GMT truck platform would carry the majority of products. Alpha, Zeta, and Omega would carry the premium cars of whatever size. The Corvette chassis would remain unchanged and move the car into affordable supercar territory.